Talented defender Chris Fairclough’s arrival at Leeds United heralded the start of the club’s most recent golden era, and his departure confirmed the end of it. He was brought in initially on loan in March 1989 from Spurs, but Howard Wilkinson made Fairclough’s signing permanent in the summer, forming part of Wilkinson’s famous crop of signings designed to help Leeds finally exit the second tier. He was signed for £500,000. Bill Fotherby recalled recently how important Wilkinson thought his signing to be, saying that he was top of his list. Installed immediately into the heart of Leeds’ defence by Wilkinson, he was a rock at the back. This is not to understate his football playing skills either, as he was comfortable on the ball at a time when many defenders weren’t. His importance to the side that won promotion can be displayed by two key facts. Firstly, Leeds won the league on goal difference, and did so as a result of having the best defensive record in the division, conceding only 52 goals over the course of the season. Secondly, Fairclough was so highly regarded by supporters over the course of that season that he won the club’s Player of the Year award. 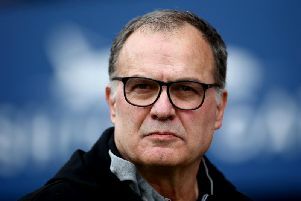 He simply did what he was brought in to do – provide a solid base upon which Leeds United’s promotion winning side could be built. His success at Elland Road did not end with promotion, however. Able to make the step up to Division One comfortably, Wilkinson never sought to replace him in the period following promotion. Leeds had success upon their return to the top flight, finishing fourth in their first season up. Of course, the greatest success in the club’s recent history came the following year, as Leeds won their first league title for 18 years. Fairclough was a constant presence at the back. He also had a key role to play in the title win, scoring the opening goal against Coventry which, thanks to Man Utd’s loss against West Ham, put the opportunity to win the title in Leeds’ hands as they headed into the final stages of the season. Famously, Leeds would go on to triumph against Sheffield United away from home, and with Man Utd falling to Liverpool, they were confirmed as champions. Fairclough himself could look back on the season with great satisfaction, his partnership with Chris Whyte integral to Leeds’ successes. Leeds struggled after the championship win, and as time went by, Fairclough began to lose his place in the side. As Wilkinson edged towards the end of his time at Elland Road, he let Fairclough leave, selling him to Bolton Wanderers for £500,000, the same sum it had cost Leeds to sign him. He would help Bolton reach the Premier League in his second season with the club, winning Division One with them. After leaving Bolton, he took in spells at Notts County and York City. He then retired before moving into coaching, which includes spells at Nottingham Forest and Charlton Athletic.